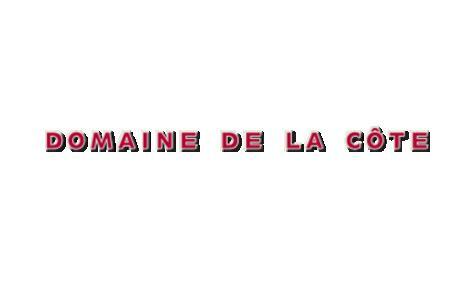 Domaine de la Côte is a collection of 6 vineyards planted over 40 acres on the furthest western edge of the Sta. Rita Hills appellation: Memorious (3.5 acres), Bloom's Field (7.5 acres), Siren's Call (3 acres), Clos Juliet (1 acre), La Côte (9.5 acres), and 15.5 acres of appellation Sta. Rita Hills. Dramatically rising to an elevation of 700 feet above the Santa Ynez River, the Domaine lies on an ancient 25 million year old siliceous (silex) and diatomaceous seabed 7 miles from the Pacific Ocean. The Domaine was purchased by Raj Parr and Sashi Moorman at the beginning of 2013. Sashi Moorman discovered the site and developed the vineyards with Chris King in 2007. Under his direction, the vineyards were planted entirely to California heritage selections at extremely high vine densities between 4,000 and 7,000 vines per acre, unprecedented at the time for the appellation. Although the Domaine spans a mere 40 acres, the diversity of its climats is staggering: each vineyard has a unique geology, aspect, elevation and microclimate. Such distinct expression of site, or terroir, in such close proximity, is unparalleled in California. The Domaine organically farms its vineyards and makes its wines with the philosophy of "add nothing; take nothing away." All the wines are produced and bottled at the winery in the town of Lompoc in Santa Barbara County, three miles from the domaine.